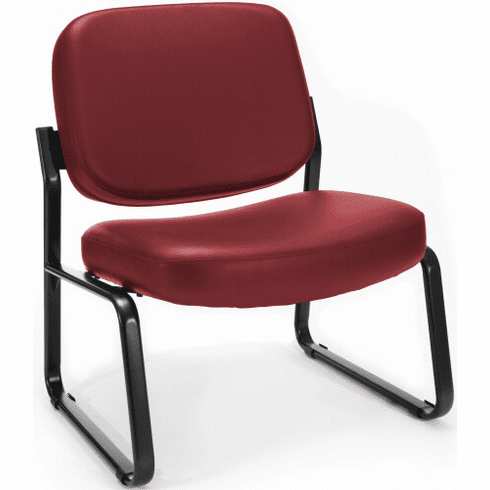 This big and tall vinyl waiting room chair, from OFM, looks great in any office, waiting room or reception area. Features include a tubular steel frame with a 23" wide seat, thick foam padded seat and backrest cushions, fully upholstered backrest, easy care vinyl upholstery available in (5) different colors and a stable sled base that glides over carpet. 400 lbs. weight capacity. This vinyl office guest chair meets or exceeds ANSI/BIFMA safety standards.